Now you can create graphics, icons, creatures, stickers and logos with Assembly. 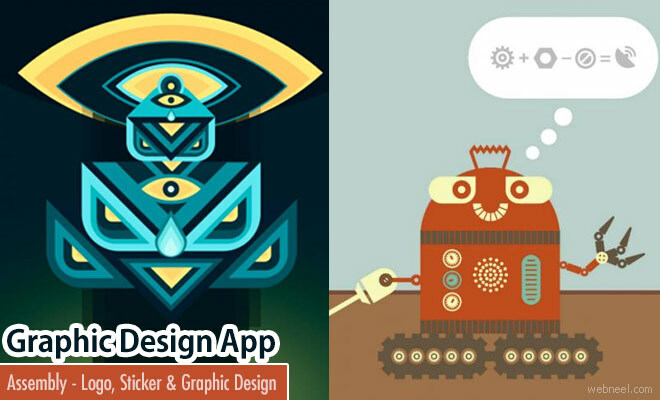 Powerful vector design for iPhone and iPad can be effortlessly created using this amazing app. Assembly consists of more than 180 shapes and many more which can be easily downloaded. As the name describes, this app follows the building-block technique for creating your graphics. Designers can save an ample amount of time by using this app, since they don't have to draw the shapes from scratch, use the library for extended source of shapes. These symbols can be snapped, resized, stacked on each other to create your own graphics. The output will be saved as a high resolution image available in SVG, PNG, JPG and PDF. This is a free app created by Pixite LLC.